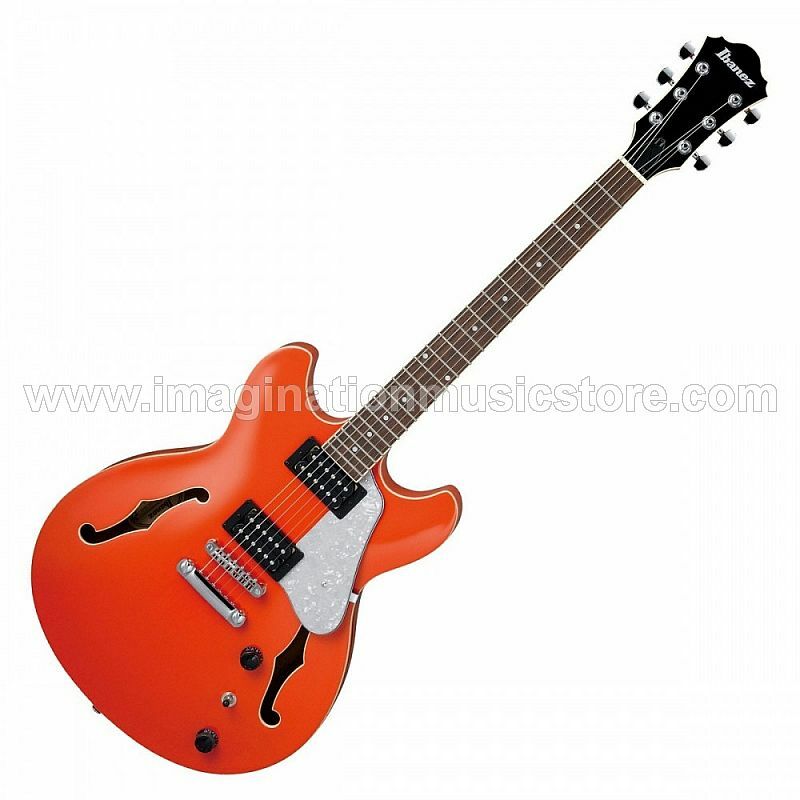 For 2019, Ibanez has expanded its popular Artcore line with the AS63 semi-hollow guitar. Affordable and within the reach of most player’s budgets, this stunning model boasts a number of features that you’d expect to find on its pricier counterparts. Available in a range of vibrant colours and featuring a stylish pearloid pickguard, contemporary players will appreciate the modern twist on this traditional-style instrument, as well as its simple design. The body of the Ibanez AS63 is constructed from Sapele, a material that is physically and tonally similar to Mahogany. With a strong mid-range, Sapele offers a slightly brighter top-end that gives this guitar plenty of cut in a mix. In conjunction with its semi-hollow design, this instrument has a lively character, giving chords a beautifully open sound. The AS63’s Sapele body is paired with a set Nyatoh neck, a warm-sounding tonewood that injects some rich low-end for a more balanced overall sound. Adorned with a bound Laurel fingerboard, this classy-looking material feels smooth under the fingers, with medium-sized frets ensuring excellent playability for both modern and traditional players alike. The AS63 is fitted with a pair of Ibanez’s Infinity R humbuckers, producing vintage-style tones with medium outputs. Responsive to your playing dynamics, these pickups will let you play articulate lead lines or chords with plenty of expression. Ibanez has also made sure that its hardware is of a similar quality, with its ART-ST bridge and tailpiece keeping things stable. Easily adjustable, you can make effortless setup tweaks whenever necessary, although we doubt you’ll need to do that very often!